What do you think the Earth will be like in 10 years? In a hundred years? In a million years? 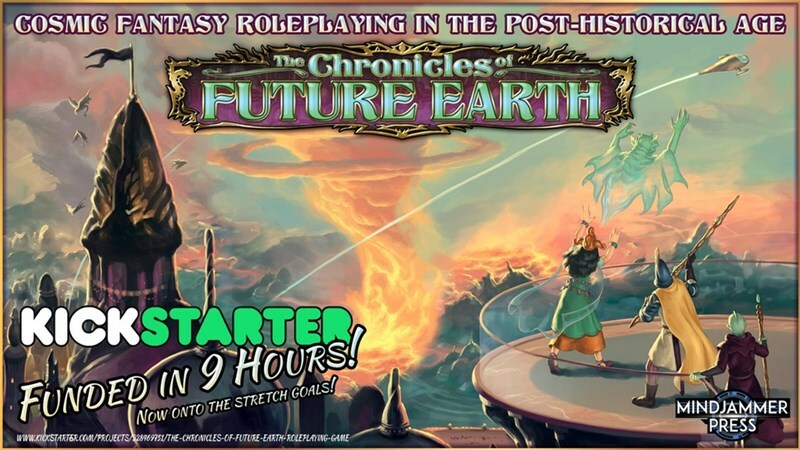 The Chronicles of Future Earth gives us their interpretation (albeit, one with demons and magic and such. So, I'm not 100% sure it's entirely accurate, but then again, what the hell do I know?). Mindjammer Press is running a Kickstarter campaign to bring the RPG to your tabletops. The Kickstarter is around 2x funded with still 27 days left to go.